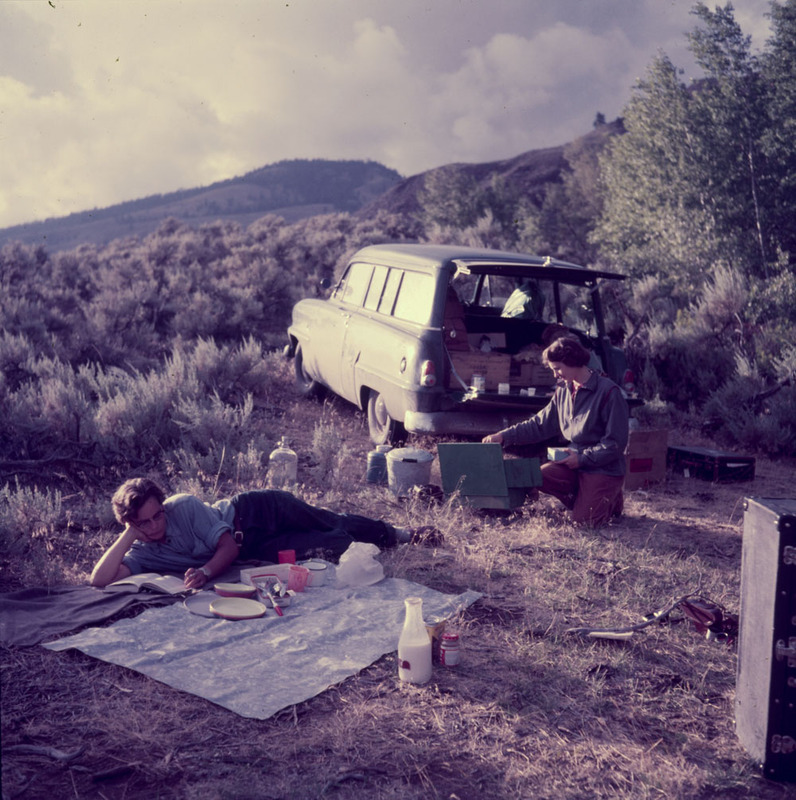 On July 31, 1954, freelance photographer Rosemary Gilliat and her girlfriends, Anna Brown, Audrey James and Helen Salkeld, left Ottawa, Ontario, for what would be an adventure of a lifetime—a road trip on the Trans-Canada Highway. Their final destination was Vancouver, British Columbia, and after a little more than a month of driving, the women covered over 12,000 kilometres before their return to Ottawa on September 6. Until the mid-twentieth century, the only way to travel and really ‘see’ Canada was by train. Following the Second World War, thousands of new immigrants from across the globe immigrated to Canada. This increase in population was coupled by a huge growth in the automobile industry. During the post-war years, and with Parliament passing the Trans-Canada Highway Act in 1949, construction had begun to link Canada’s major cities with paved roads. In spite of the many challenging stretches of highway, the windshield of Helen’s Plymouth only suffered a few cracks from flying rocks and remained intact until the women returned to Ottawa, when it was replaced. 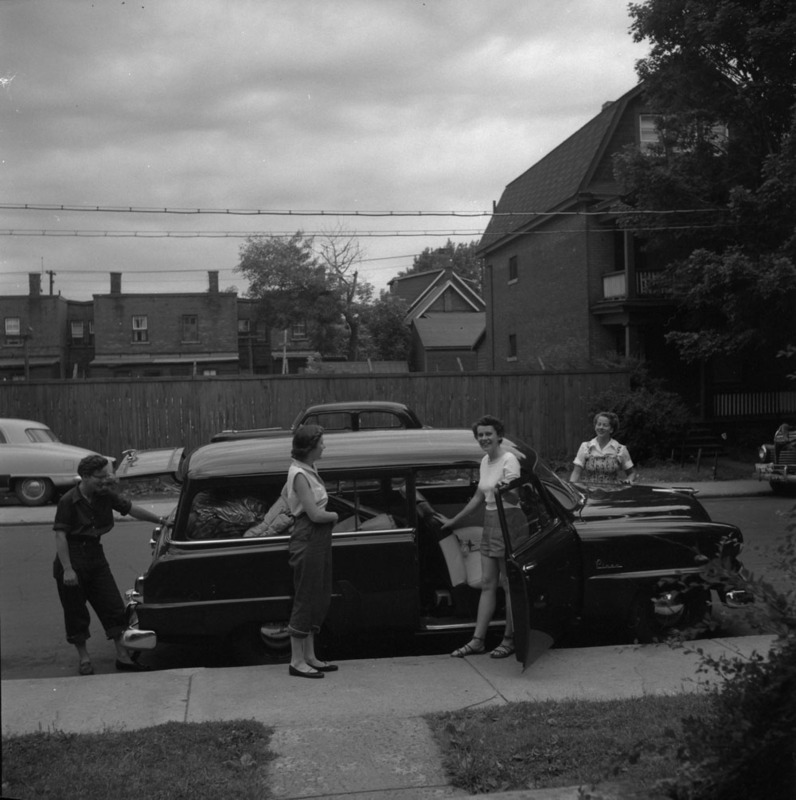 Packed to the max, Helen’s station wagon was loaded with all of their camping supplies and utensils. Among their equipment was a Coleman stove and two water bottles, but no cooler or ice for perishable food. So part of their daily routine included picking up groceries and finding drinking water while getting gas for the car. This was not a luxury vacation! 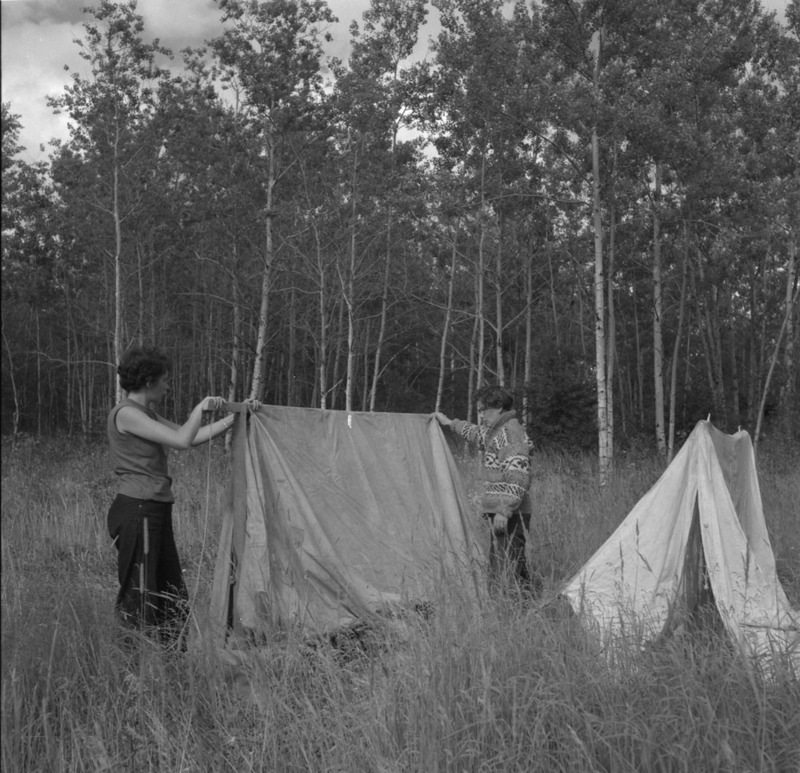 Their travels took them through remote forests and small towns of north and northwestern Ontario, endless kilometres of the golden prairies of Manitoba and Saskatchewan, the foothills and Rocky Mountains of Alberta, and along the rushing glacial rivers of British Columbia to Canada’s beautiful pacific coast. 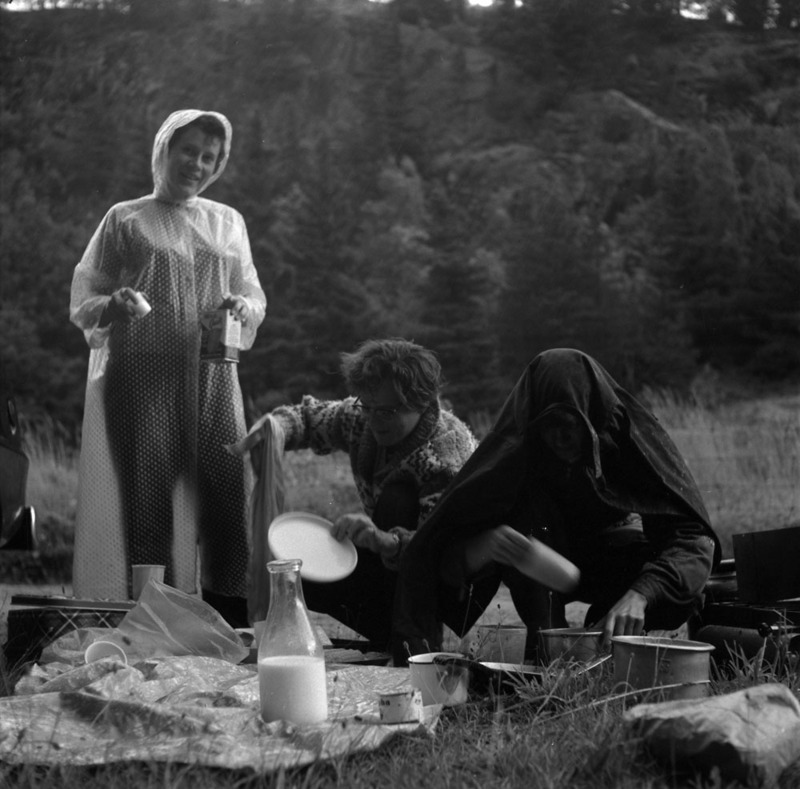 Rosemary recorded their fantastic adventures, taking hundreds of photographs and keeping a detailed travel diary that describes the people they met and things they experienced along the way, including friendly farmers, charismatic cowboys, and murderous mosquitoes. 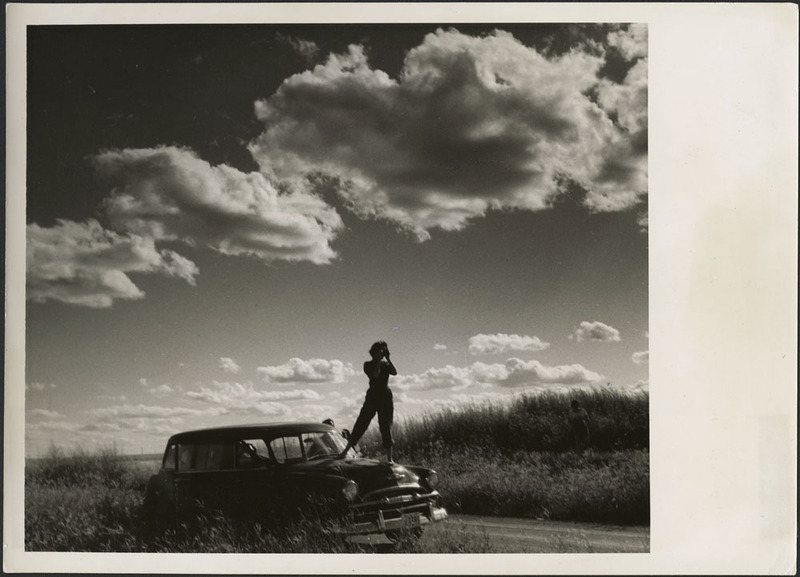 On July 31, 2015, Library and Archives Canada launched Road trip—summer of ’54 on Facebook, which features a selection of Rosemary Gilliat’s photos and diary excerpts. Visit Facebook daily to see where she and her friends travelled and who they met along their journey. At the end of each week, these photographs will be added to Flickr. 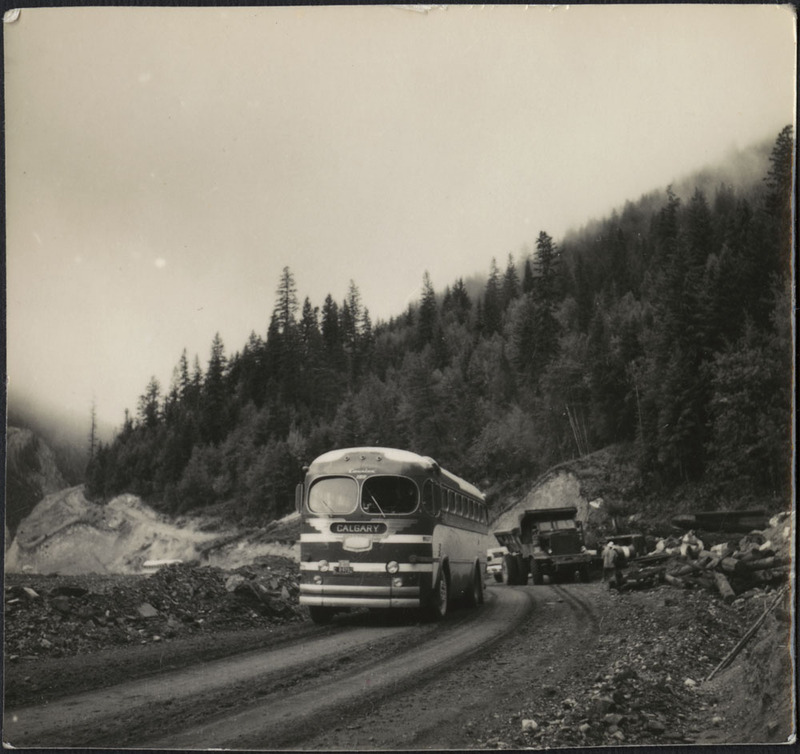 This entry was posted in Our Collection and Facilities, Photography and tagged Photography, Road Trips, Trans-Canada Highway, travel, Travel Writing, Vacations by Library and Archives Canada Blog. Bookmark the permalink.